The University of Cambridge has long looked after the doctorate presented by the young Professor Hawking, and the work that would go on to make him famous. Now, anyone anywhere can download and look at a digitised version of the thesis – complete with Mr Hawking’s own hand-written signature. But there’s no guarantee that all of them will actually understand it: the thesis’ title is ‘Properties of expanding universes’ and it continues in a similarly mind-blowing but difficult vein throughout. At the time of writing the paper, Professor Hawking was just a 24-year-old postgraduate student in Cambridge. But it began a process that would see him become the most famous scientist in the world – and the beginnings of much of that work is contained within the paper. The university said the thesis is by far the most popular in its system, with even the internal catalogue page receiving hundreds of views each month. Now it hopes to let those people and more see it easily, by making it readily available online. Professor Hawking and his university said they hoped that putting the thesis online would not simply encourage people to read it and think about the ideas it contains, but also to share their own research too. 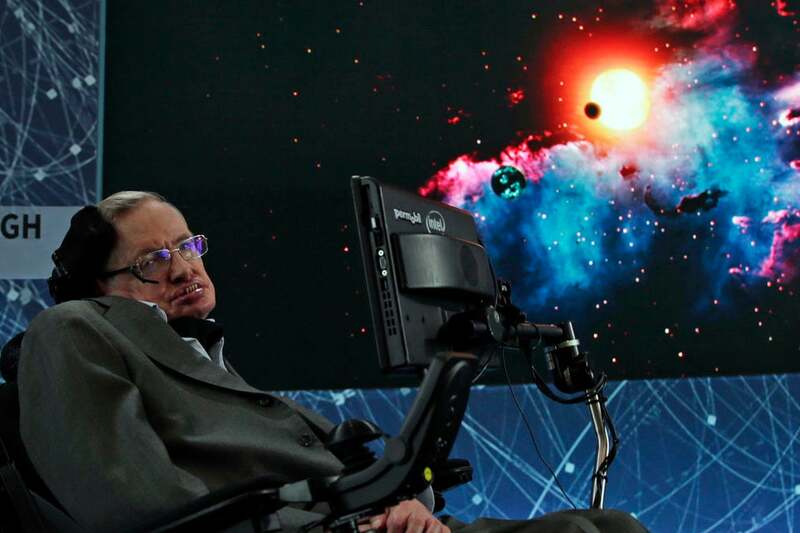 “By making my PhD thesis Open Access, I hope to inspire people around the world to look up at the stars and not down at their feet; to wonder about our place in the universe and to try and make sense of the cosmos,” said Professor Hawking. “Anyone, anywhere in the world should have free, unhindered access to not just my research, but to the research of every great and enquiring mind across the spectrum of human understanding. “Each generation stands on the shoulders of those who have gone before them, just as I did as a young PhD student in Cambridge, inspired by the work of Isaac Newton, James Clerk Maxwell and Albert Einstein. It’s wonderful to hear how many people have already shown an interest in downloading my thesis – hopefully they won’t be disappointed now that they finally have access to it!” Reading may have you thinking, “I need help writing my thesis because this is so extraordinary”! The move came to celebrate Open Access Week, and Arthur Smith, deputy head of scholarly communication at Cambridge, said that he hoped the move would encourage other graduates to put their theses online. “Open Access enables research. By eliminating the barriers between people and knowledge we can realise new breakthroughs in all areas of science, medicine and technology,” he said. “It is especially important for disseminating the knowledge acquired during doctoral research studies. PhD theses contain a vast trove of untapped and unique information just waiting to be used, but which is often locked away from view and scrutiny. The thesis can be found on Cambridge’s Apollo system, where many other open access works are also stored.